I love it. Goog color! Glad it arrived safely. I have never in my life seen a roundel BMW CCA sticker like on the back window. It predates the map logo designed by, I believe, Harmon Fischer in the early 1970s. fantastic, proper exciting. looks really complete and unmolested. Bravo Bill, that is the most complete, original looking TISA I have seen in years. Other than the vacuum distributor, and front seats, it looks like a rather spectacular time capsule. 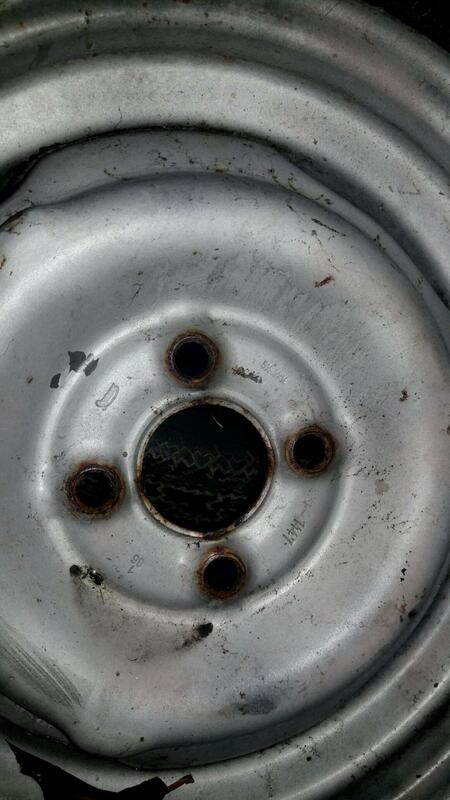 It may have a Borrani 14 inch rear wheel on it as well. Unbelievably, unmolested, how beautiful. 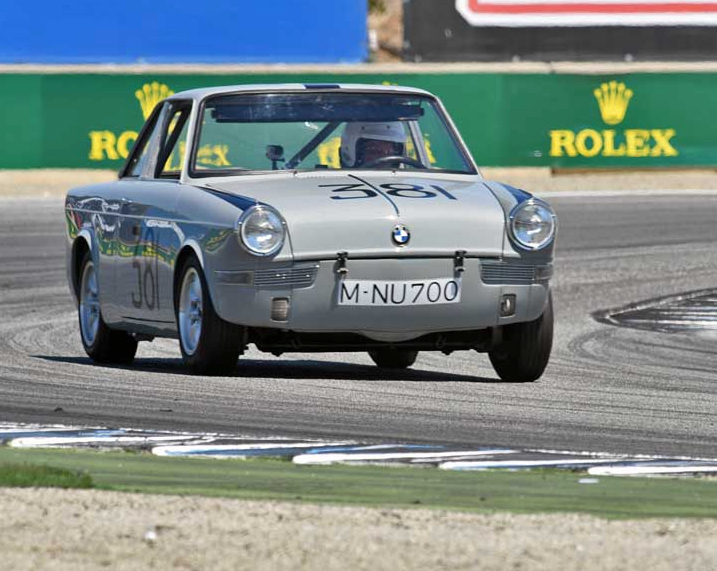 Not as aesthetically beautiful as your CS, of course, but there have been no production cars, with the exception of the 507, in my opinion from BMW that look as good as a 2800 or 3.0 CS. The high greenhouse, Hoffmeister kink, incredibly beautiful tail section and overall proportions make it ,I believe , the only truly beautiful BMW sedan of all time. I had a Malaga 2800 CS while I was in college at the University of California Santa Barbara. It was the prettiest car I have ever owned. I sold it to buy my fuel injected 1972 911 . Please take lots of pictures before you do anything with the car, as the details, for instance looking at the rear trunk trim, are very factory correct. 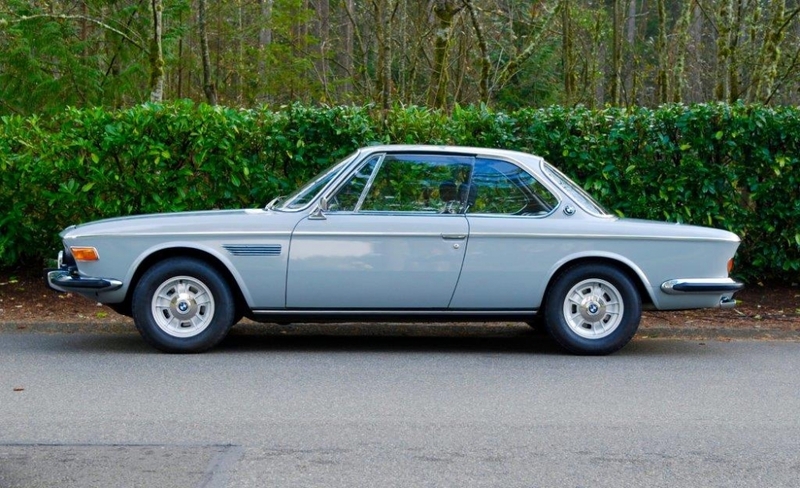 PS, the Bristol grey may be boring to some, but it grows on you. My car had been repainted Polaris, but I returned it to Bristol several years ago. Info I've seen says the Ti/SA's could be had in Bristol, Polaris or Chamonix. Anybody have the breakdown on how many of each color were produced? bristol is a fantastic colour that changes quite bit in different light. never heard it called boring! Thanks Nick, you're very kind and I agree it does have some cool green and blue shades in different light. People have told me it looks like gray primer with clearcoat. They also made fun of its dry rotted front window wing rubbers, which are in NLA. But then again not everybody is a four-door new class or vintage BMW fan. 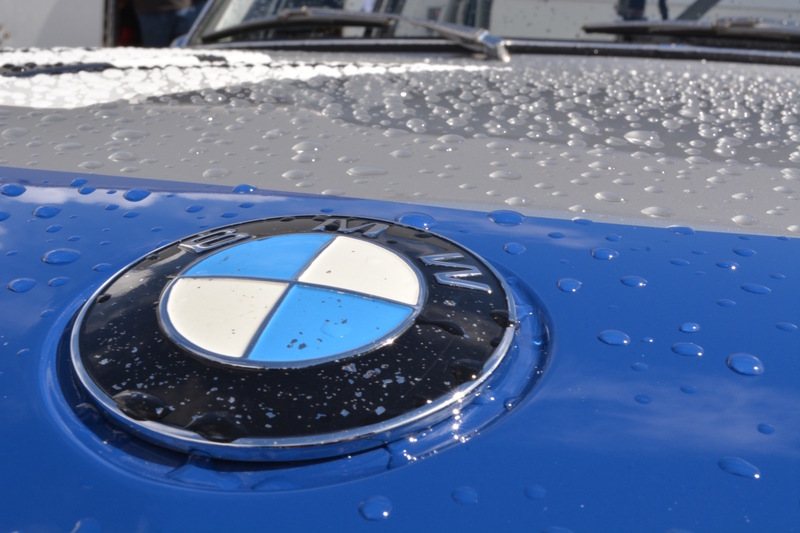 I once had visiting Germans tell me at a BMW CCA national in Virginia that my car was common, and that they didn't want to bother taking pictures, or video of it, of it as it was unworthy; they had used that model for police cars. That mentality reminded me that many Germans think we Americans are incredibly stupid. The TiSA I drove back in the late 1960's at my Father's dealership was Bristol and rust. 2 winters in Minnesota and these cars were toast. All the historic pictures I've seen show either Bristol or Polaris. I don't remember any in Chamonix. When we re-did my 1800 racer we painted it Polaris. I have to say that it is another color I really like on NKs. It also changes with the light. Bravo Bill, that is the most complete, original looking TISA I have seen in years. Other than the vacuum distributor, and front seats, it looks like a rather spectacular time capsule. Here are some more shots from the visit today. We'll need a new nose piece and front fenders--rusty from Boston. Back end of car looks very good, as does the interior. Will need repair of rust in rockers. Peter, with respect to the vacuum advance distributor, Terry thinks it looks correct, so I'd appreciate your further thoughts. Lorin, thanks for your offer--will keep it in mind. I'm on the lookout for two Lemmerz wheels. My two fronts are dated 2/65, 5JK15, with 1446 marked also. Pictures below show engine number, TiSA head, body VIN, plastic screw protectors on underside of trunk lid, and wheel markings. Last couple pix for now. 7 volt alternator and one of the four extra 5.5 Lemmerz wheels. 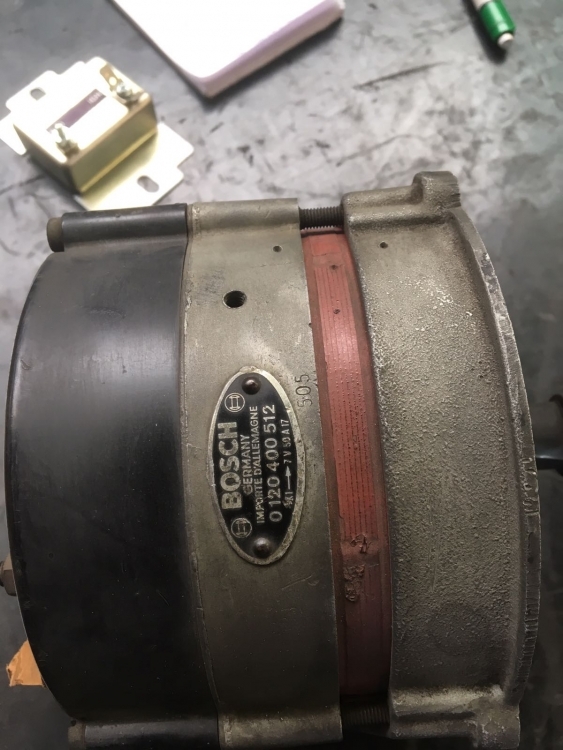 I'd agree with Peter about the distributor - it should be a non vacuum bosch with the black cast body - what you have is from a much later car. Out of interest, where does the second earth strap run to where it disappears from view from where it's bolted to the bell housing. My '65 only has the strap running to there from the battery. Don't think I'm missing anything. Does yours have this Peter? anything in the cars history to explain the French market alternator? Canadian perhaps?